Gratitude 246 – Happy | More Joy, Magic, and Vibrant Living! I was in a crowed bus today, standing in front of an old lady’s walker when she said: “Do you want me to get you a seat? I have a big mouth you know.” I wondered if under all my layers of clothing she thought I was pregnant. I told her that I had a big mouth too so I could ask for a sit myself if I needed. She went on to tell me that in 2000, she had colon cancer at St Paul’s hospital and 2 different doctors told her she was going to die. So when she ended up surviving she told herself: “Anne you’ve been quiet all your life, it is time to change” and she added to me: I have no shut up ever since. 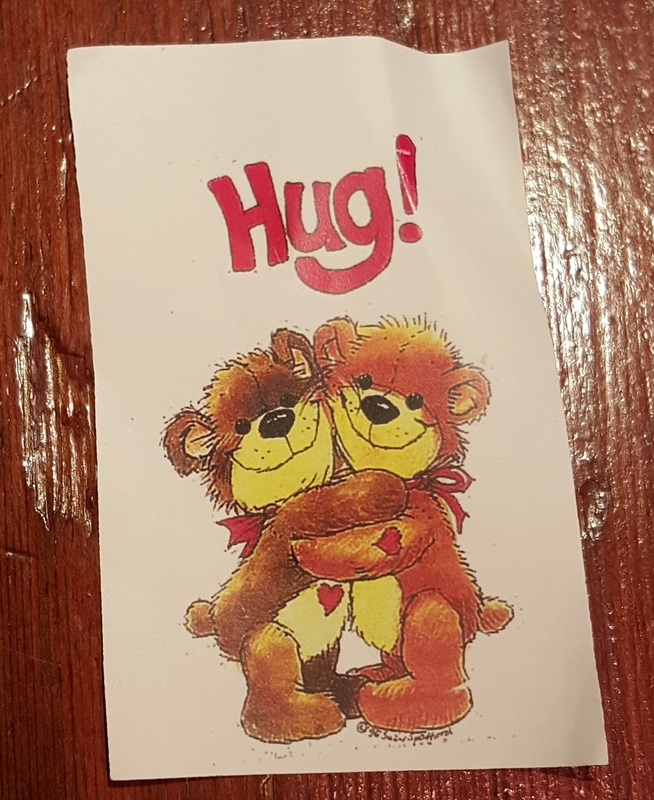 And then holding out a stack of cards, she said do you want a hug? The lady sorted next to her left so I got to ride with her the rest of the way. She distributed more hugs to the people standing around. She told me a bunch of stuff and then I asked her: would you say that you are happy? And she answered: Yes, at 91 years old, I am finally happy.